The main task of technology is to perform several different task in a single device, but not every device is portable as mobile. For example: you can perform different task in a desktop computer but considering its size, it may be not possible to carry it around everywhere. Besides we have smartphones, so it's quite often we spend time in desktop/laptop computers, but when we do, it requires separate attention for each devices and still there are some task that requires desktop/laptop computers. Earlier there were PC suite application which synchronizes mobiles and computers with bluetooth, data cables etc. However the data transfer with data cables is fast enough and reliable than any other transmission medium, but smartphones users often don't use separate external devices and cables for data transfer. 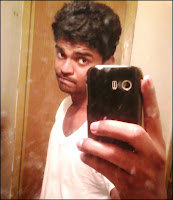 Hence wifi can transmit data faster than bluetooth, its better to use wifi as a synchronization medium to let access android mobiles on computer. 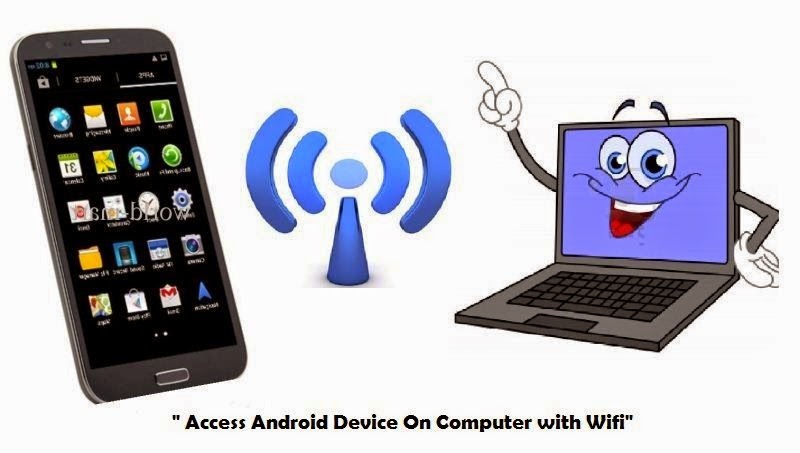 Why to Use Wifi to Access Android Mobile on Computer ? Both wifi and bluetooth rely on same wireless technology, but the maximum speed limit of bluetooth to transfer data is around 25mbps, whereas Wifi can transmit huge amount of data towards a longer distance than bluetooth would cover. Hence for faster transmission which covers longer distance and reliable connectivity loaded with high quality security protocols we use WIFI. Airdroid by Sans Studio Tool: An android application/tool that let android phones to synchronize with computers and let PC users to access Smartphones directly from computer when granted permission. Visit google play store then download and install "Airdroid" app by Sans Studio. Switch "on" Wifi HotSpot in phone and also Enable computer WIFI and make it visible. It provides 3 Ways to connect Laptop and Smartphone. Open Airdroid app in mobile, you'll see IP address listed eg: http://192.168.43.1:8888 note down and enter that IP address in web browser and press enter. Immediately a dialog box pester's in mobile granting permission to access the mobile device through computer. Target the mobile camera on the QR code displayed on the browser. Once it recognize the QR code, it will connect the device automatically. Click create an account then enter details such as email ID and password to access and click sign UP. Now open the Airdroid app in your device and press account button. Sign in with the login details and then refresh the page. You can try any of these 3 way's to access the smartphone with computer through WIFI. Note: This app uses sessions like banking websites, so if the web client is in-active for a period of time bound, it will automatically logged out(clear session) to protect privacy and security). Good to go now you can access, edit, delete and add files to your android device from your computer. Caution: Always enable password protection for WIFI, since it uses WIFI hotspot as a transmission medium device which are connected to the same network can be misinterpreted and allowed to access your smartphone. Why Airdroid and What are its Features ? Maintaining users of an application and sustaining them till its lifetime is the dream of any app developers/company, But Airdroid with its sequential enhancement and adequate feature for the current market has made its users to stick into this application and also keep its users away from knowing about its rivals. With the latest version of Airdroid you can even chat with Whatsapp and Facebook friends. Transfer data between devices without hassles. Note: As of now document file formats such pdf, docx, .txt are allowed to download only, unlike media files it cannot be directly viewed and played in the Airdroid interface itself on the web client. Viewing document may be enhanced in the future version of Airdroid.